Construction Jobs—Are They Right for You? Are you looking for a career with a future? It’s hard to beat construction jobs! The Bureau of Labor Statistics projects the construction industry will add more than 1.6 million construction jobs over the next 10 years. One of them might be perfect for you! Don’t believe everything you hear about construction. Construction workers aren’t a bunch of minimum wage flunkies. In fact, many jobs in the construction industry pay more than those offered to entry-level college graduates. Don’t believe that construction workers are just a bunch of manual laborers with no skills. While you can usually jump into construction and learn on the job, many workers develop mad skills in a variety of essential areas. 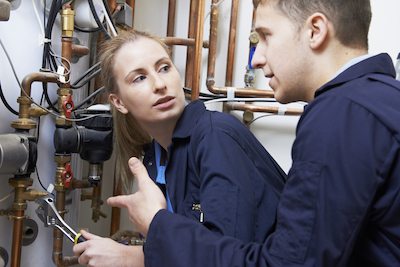 Craft workers in areas like carpentry and pipefitting are in high demand! Everyone is different. You and your friends have different likes and dislikes. You have different skills and talents from others in your family. Maybe your brother is good at math and wants to be an accountant. Maybe your sister likes drawing and wants to be an artist. And just maybe, you like both those things. You might become an architect. That’s right. Consider the possibilities! There are dozens of different high-paying construction jobs. Different construction jobs require skills in a variety of areas. You could use your math skills to figure square footage and purchase supplies. Eventually, you might become a cost estimator. An interest in drawing could help you learn to read blueprints. From there you could end up using computer-aided software to design buildings. Perhaps you are good at planning and coordinating. You might take some college classes and become a project manager. Construction jobs include so much more than most people realize. Every day is different. And construction jobs are certainly not a dead-end pursuit! Construction work actually opens the door to a world of interesting and challenging careers. All you have to do is be willing to step up and explore the industry. It’s waiting for you! There are many opportunities in construction for those without advanced degrees; however, those who choose to pursue formal education are certainly in demand. While those who completed many other degree programs are still putting in applications, graduates in construction related fields are snatched right up! Those who pursue undergraduate or graduate degrees in construction management or engineering and technology are ready to assume leadership positions in this challenging career field. As a graduate of a construction jobs department, you will be in high demand. Construction managers, superintendents, and engineers are sought after in all segments of the industry. You might find your niche in residential, commercial, heavy-highway, or one of many other related industries for construction jobs. Like to travel? There are top industry positions throughout the United States as well as opportunities to work overseas. 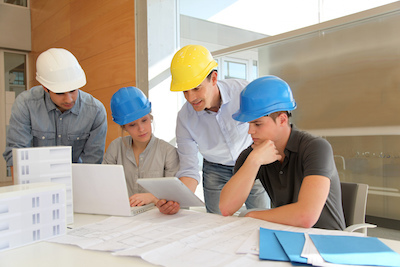 A degree in the construction field will be valued around the world. If you aren’t lucky enough to attend a four-year university for a construction related degree, you can still advance your career from an entry-level construction position. Attention to detail and good math skills might land you a job as a cost estimator. US News & World Report ranks cost estimator as the number one job in construction. You might get a chance to assist or shadow a cost estimator. Experience counts and you could snag a job based on experience alone. But most cost estimators, as well as other executive level construction jobs have a bachelor’s degree in construction management, accounting, or business. There really is something for everyone. Construction gives you a chance to discover your talents and develop the skills you need to build a career you’ll love. If you are a veteran, we thank you for your service! Would you like to get started in one of many rewarding construction jobs? Hiring managers are eager to get you on board. Many construction companies bid for large federal contracts. In order to be eligible to bid, companies must have affirmative action programs designed to hire and promote certain targeted groups of veterans. Many veterans who planned to retire from the military, have been forced out due to the scaling down of military operations overseas. The construction industry is a great place to be. Your veteran status gives you a leg up! Consider civilian construction jobs if you would like to start or advance your career in the construction industry. One of many challenging construction jobs might be just what you need. Yes, construction is a viable field for women. According to the USDOL, over 800,000 women currently work in construction. 200,000 of these are employed as laborers, plumbers, electricians, or in other skilled labor positions. So don’t write off construction. It’s a great job for women, too! The construction industry is increasingly recruiting women and many firms have committed to placing more women in apprenticeship openings. For example, New York unions have stepped up to the plate. An organization called “Nontraditional Employment for Women” has arranged apprenticeships for women with several unions, starting at $17 an hour. After a few years, journeyman wage would be $40 an hour or more. 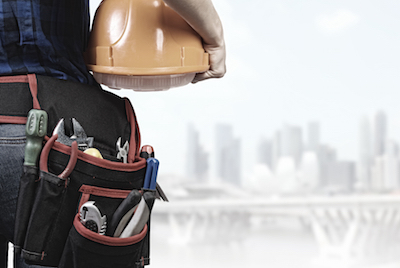 Do you have what it takes to pursue one of these high-paying construction jobs? If you’re willing to put in the time and effort, construction could be what you’re looking for. As workers retire, they often say it’s mostly the things you don’t do that you most regret. 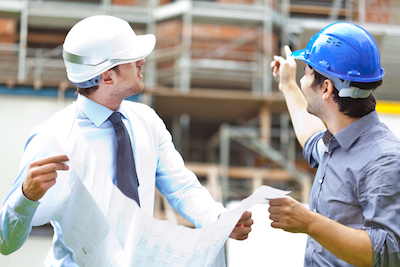 If you’re hard working, reliable and enjoy working on a team, then give construction a try. You won’t regret it! Construction offers entry-level jobs as well as more specialized work that requires additional skill and training. 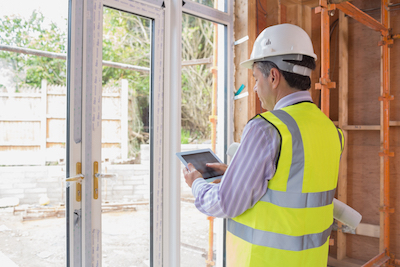 Predictions are that the construction industry will grow 30% over the next five years. There’s no better time than NOW! Construction jobs may be right for you if you are new to the labor market, a woman looking for something different, or a veteran trying to get back into civilian life. Think about it. Your future is waiting. 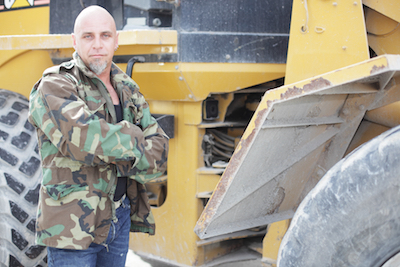 If you could start any construction job tomorrow, what would you choose? Scroll to the bottom to leave a comment and let us know!